This pretty and spacious apartment has a basic, but attractive interior. It's a perfect base for families who want to visit Rome. You'll have everything within reach, the bus stop is across the road from the house and San Giovanni in Laterano is only 1 km away. San Giovanni in Laterano is situated in a central area of Rome and is an ideal spot to enjoy life in the capital city; you'll find plenty of shops, restaurants, bars and pizzerias here, as well as a supermarket and a local market. 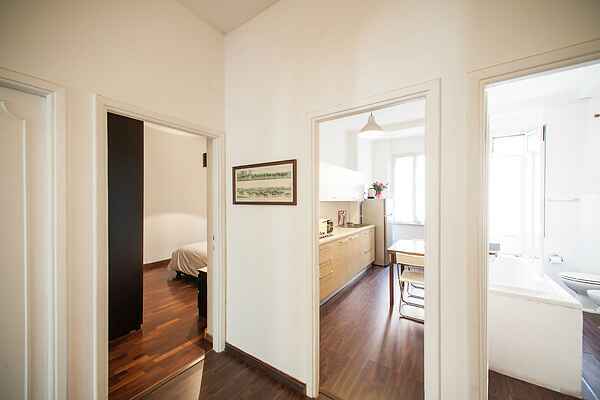 The apartment is only 200 metres away from a metro station, making is easy to visit the Vatican, Colosseum, Pantheon and the Forum Romanum. After a day's sightseeing in the Eternal City, Casa Francesca makes the perfect place to rest and relax.